TEWKSBURY, Mass. 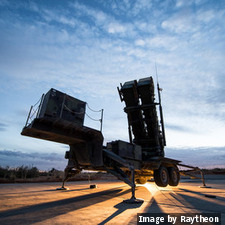 U.S. Army officials selected Raytheon to deliver to the government of Poland the Patriot Integrated Air and Missile Defense System including spare parts, support, and training. The contract is worth $1.5 billion and calls for the company to build and deliver four Patriot fire units. The initial U.S. and Polish agreement was formalized in March 2018. The contract is for Phase I of "WISLA," Poland's two-phase medium-range Integrated Air and Missile Defense procurement. 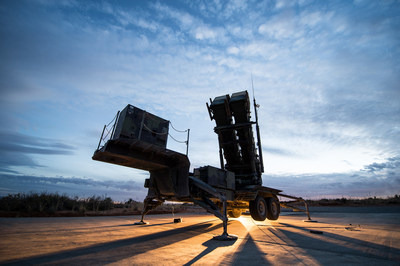 Under Phase II, Poland has the potential to acquire additional Patriot fire units and has expressed interest in gallium nitride-based 360-degree active electronically scanning array radars, and SkyCeptor, a low-cost interceptor missile. The Patriot is a missile defense system consisting of radars, command-and-control technology and multiple types of interceptors, all working together to detect, identify, and defeat tactical ballistic missiles, cruise missiles, drones, advanced aircraft and other threats.